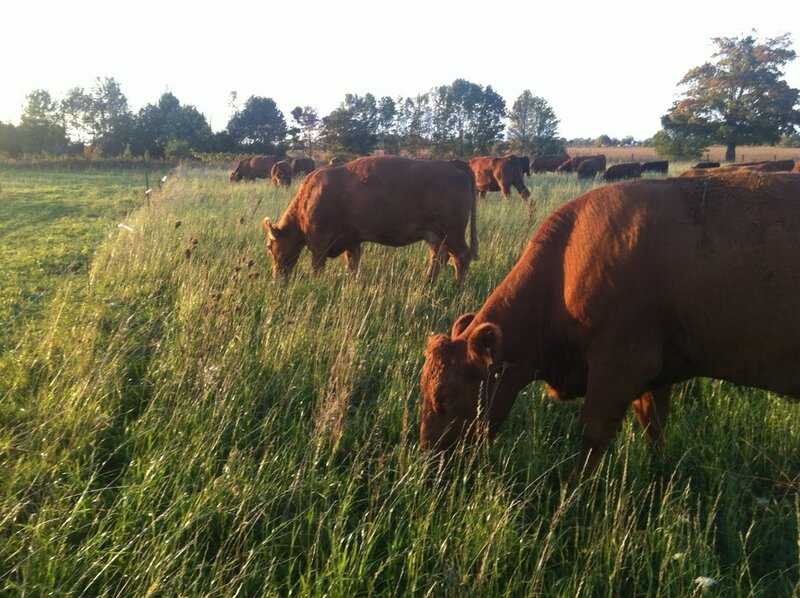 We sell replacement cows and bred heifers, in addition to naturally grown beef and chicken at the farm gate. 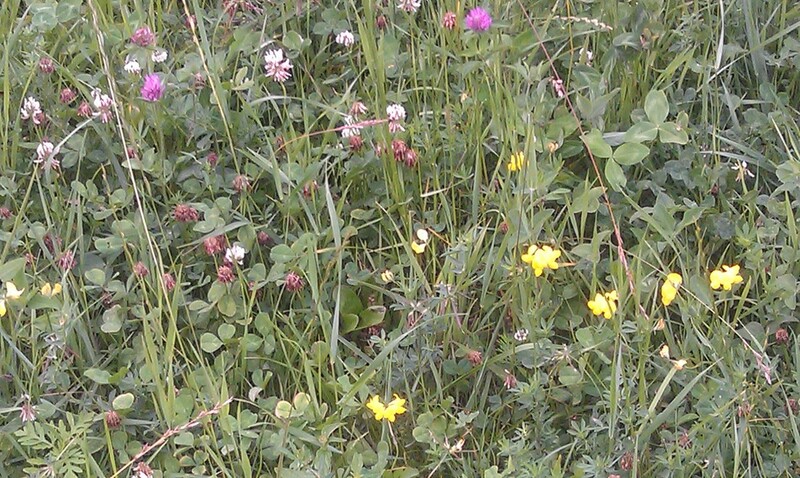 This pasture picture shows a wide variety of plants, including my personal favourite Birdsfoot Trefoil. The cows spend one to three days in each paddock. Notice the paddock that they were just moved from? When they return in 40 to 50 days they will enjoy similar regrowth in both paddocks. This brand belonged to my great grandmother Mollie Lyle. She was the daughter of American Civil War veteran W.A. Silvius, and she was a homesteader near Arrowood, Alberta. Although we do not hot-brand, we have our family's ranch identification through the Canadian Simmental Association. Oakley is our newest co-worker. He is a Maremma livestock guardian dog. When he is an adult he will live with the herd in the pastures and protect the calves from coyotes. His training is going well, and it is interesting to see love of other animals and instinctive guarding behaviour reveal themselves in his play.